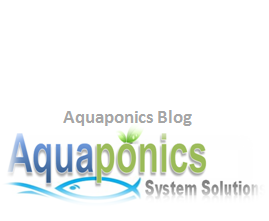 Tilapia For Aquaponics - Find out why is it susch a popular choice? Tilapia is definitely one of the more popular fish in aquaponics, mainly for its durability, great tasting meat and they grow readily. It is also the fish of choice for aquaculture in the United States for many years now. A bit of a history lesson; Tilapia actually came from Egypt originally and from recovered evidence, this particular fish species was already popular in that country some four thousand years ago. Tilapia was introduced to the USA in 1974, and then in 1978 it was brought to China and today, China is the biggest exporter of Tilapia. From the history, now let’s touch on the living conditions of this fish species. By nature, Tilapia loves the warm temperatures. Anything above 25 degrees C will be great, but the ideal temperature would be between 28 to 32 degrees C. They actually strive in these temperatures and would grow week in a temperature of below 20 degrees C.
In colder countries, this fish is a great choice for your aquaponics system during the summer months. This is because you can harvest them in time before the next cold season comes along. When it comes to stocking density, Tilapia comes in one of the highest per gallon of water. I know of an aquaponics enthusiast who grows the fish in two inches for one gallon of water. Please bear in mind this is true to Tilapia fish species and should not be used as a standard gauge for all species. This is peculiar to Tilapia as it’s a durable fish by nature and this is one of the main reasons why it’s such a popular aquaponics fish. Tilapia is well known for their readiness to breed. They reach maturity in about five to six months and are ready to spawn every 4 to 6 weeks. Now, if you leave them in the fish tank or pond to their natural breeding environment, they will over grow the space in no time. A common practice in aquaculture, is to build a pond and simply leave them to populate naturally. The other approach to that is popular among aquarium store owners is to place one male Tilapia along with five females in smaller tanks during breeding seasons. It’s that simple. Tilapia is one of the easiest species to reproduce. One of the strongest reasons why Tilapia is so popular, be it in aquaculture or aquaponics is due to the fact they are very hardy fish by nature. They are most ideal for aquaponics newbies who are just starting out with a new set-up and don’t have to worry too much about bad water quality. This is because the fish can deal with poor water conditions readily. Nevertheless, be aware that Tilapia prefers a pH of between 7 and 8. Plants normally flourish at a pH of 7 or 8, depending on the type of aquaponics plants that you choose. My personal preference is to match the aquaponics plants to the fish species ideal pH rather than manipulating the system water pH. Often the fish get stressed out in attempts to bring system water pH down or up. This is especially true when the water pH is adjusted to frequently or too quickly. You can potentially kill the fish here. By nature Tilapia is an omnivore. That means they are like us humans when it comes to diet. They can practically eat anything. 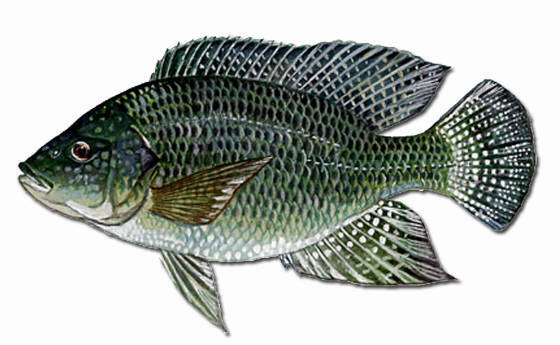 Adult Tilapia would swallow from shrimps, smaller fish to algae, vegetables and even duckweed. The important thing to remember is, whatever you feed the fish, it will end up in the vegetables that you produce in your aquaponics system. If you intend to buy fish feed, I would suggest to choose quality organic ones for better results. Tilapia provides quality protein source for us and is delicious to eat. It’s also a fantastic source of niacin, phosphorus, vitamin B12, potassium and selenium. The fish also provides white tender meat that can be prepared in countless ways to pamper our buds. Your imagination is the limit really. A fast, delicious and healthy way to prepare it is by steaming it with garlic, olive oil and lemon with a generous dose of soy source. 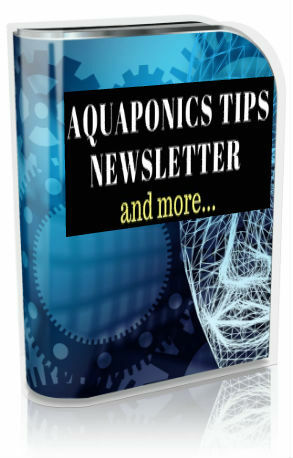 It is the best choice for aquaponics fish species to start off your aquaponics venture with. 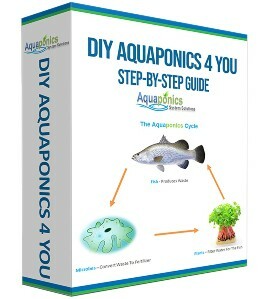 If you are new to aquaponics this is hands down, the fish that you want to invest in. As I have explained above, you can’t really go wrong with it. “Aquaponians” and farmers alike just love the fish for their ease to harvest and multiply.